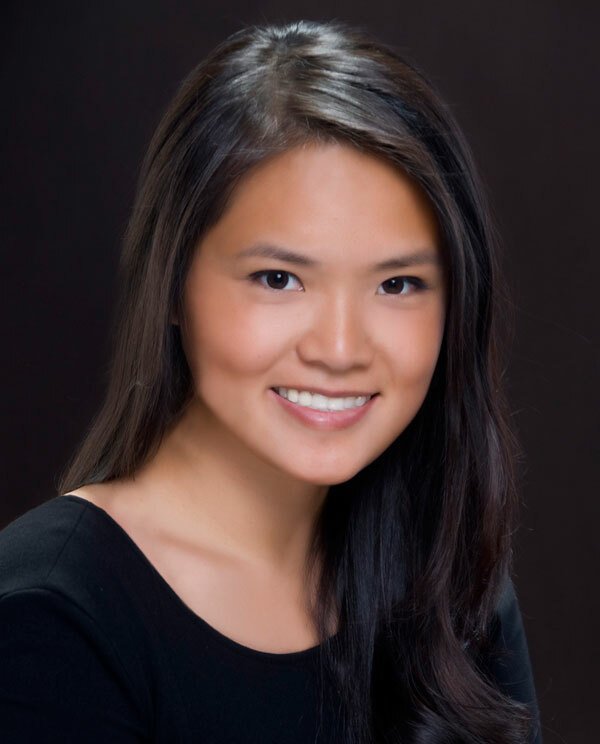 As investment banking analysts at Credit Suisse, Alina Cheung and Yidi Xu spent their days surrounded by men in ties. Little did they know that these men, and their ties, would later inspire them to leave investment banking behind. While crunching numbers and working on Excel spreadsheets, they found themselves thinking a lot about the prints on those ties. It was not long before Alina and Yidi realized they wanted the prints for themselves. And if they wanted them, they thought other women would too. With that thought, Terracotta New York, an accessories company, was born. 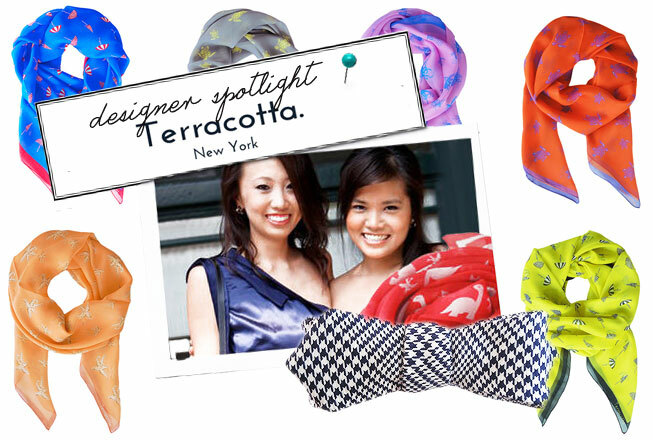 Terracotta New York sells scarves, neckties, and bowties for women inspired by menswear. 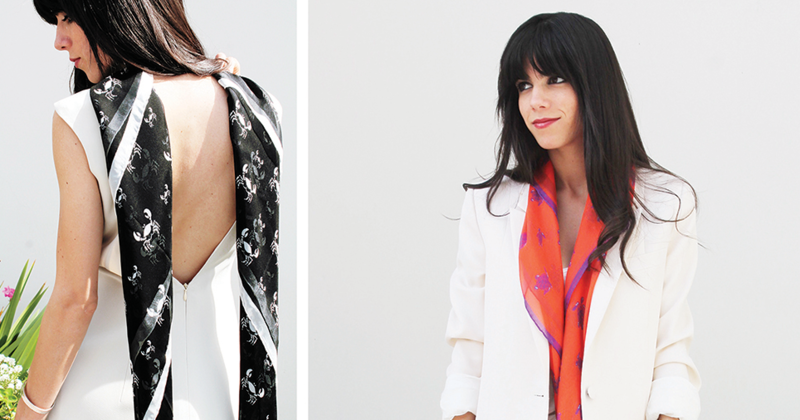 The company launched in October 2012, and its scarves and ties have been making the rounds since. In the last year and a half, Terracotta’s accessories have found their way into 40 stores and will soon be heading out internationally. I met with Alina at a restaurant in Chelsea to learn more about Terracotta. What I discovered is that for Alina, investment banking offered both the inspiration and the preparation for co-owning her own business. Have you always been interested in fashion and design? Yes, I have. I always loved to draw. It’s always been a passion of mine. I actually got accepted to a fashion school, but went on to study economics instead. You met Terracotta’s co-founder, Yidi, while working together as investment banking analysts. What inspired both of you to start Terracotta New York? We literally sat next to each other in cubicles. We wore scarves to work everyday because it was always so cold, but we could never find fun scarves. They were always very abstract, older prints or just solid prints. Also, we worked with a lot of men. They wore fun neckties with prints on them — elephant prints, bicycle prints, etc. So, we thought it would be cool to sort of give women that self-expression too. Yidi always saw me sketching away at my desk during downtime. So we figured hey, why not start something. We knew we had the business background being in investment banking. We were working on a business plan while still at work. We did our research. We looked at the market, etc. I feel like everything just slowly came together. There are a few reasons. History wise, in 209 B.C., the First Qin Emperor wanted to create everlasting power. In order to do so, he created an 8,000 clay warrior army to guard his tomb. They are now known as “the Terracotta Warriors.” Each of the statues was unique. They were all different in facial features and they all had different colors. It was the first instance of a scarf or tie around the neck. Also, our motto is be unique yet uniform, ambitious yet artful. So, it ties in with that. Going back to when we were both in finance, we wanted to create something that was vibrant, colorful, unique and fun so a woman can express herself in the work place. Beyond scarves, what inspired the neckties and bowties? We thought it was a fun product. It’s confidence right. We wanted a product line that gave women confidence. And because we were in the workplace, we definitely wanted to do ties and bowties. We understand that not every woman is going to wear ties and bowties. Our biggest selling category is our scarves. The idea of looking to menswear is interesting. Do you think that came from working in a corporate environment? I think menswear-inspired style has been around for a long time. It comes and goes. We came from a very male dominated environment and we really learned to appreciate menswear and its simplicity and patterns. We saw our colleagues come in with fun ties. A lot of times we could tell when men were feeling happy based on what they were wearing. Where do you find inspiration for the prints on Terracotta’s scarves and neckties? We started with items we saw on men’s ties. Our first collection had elephants, penguins, bicycle prints, and the classic stripes and checkers. From there we have expanded to a fishbone print, skeleton keys, and we did a Hamptons collection with sea creators. We will ask on social media what people want to see on scarves. For example, skeleton keys came from one of our customers. Do you do all the sketching? I do all the sketching. Everything is hand drawn. I use pencil first to sketch it out and then go over it in Sharpie. I will transpose it into Illustrator and from there lay out the print and prepare it for the manufacturer. Our manufacturer is in Italy. We picked Italy because most Italian scarves are generally priced well above $300. So, we are trying to give our customers the same quality in terms of the material and craftsmanship, but at a slightly lower price. Ours are priced at about $225. We work with them closely. Did you ever think you would be an entrepreneur? No. Not at all. Never. Never in a million years. I was so risk averse. I never ever thought I would be an entrepreneur. Investment banking is known for long hours of hard work. Did it prepare you for being an entrepreneur? It did. People say, “Now you set your own schedule and it must be so easy,” but there is a lot to do throughout the day. I go to sleep at night and will be lying in bed and I’ll think, “Oh, I should be doing this tomorrow.” I am making lists. It definitely gave us the attention to detail, the perseverance, and we work hard. Yidi and I work really hard. There is always something that needs to be done. What are some of things you have learned co-owning a business? It’s never straight. There are ups and downs. Things never go the way you think they will. It’s a learning experience and I’m glad I’m doing it. What is an average day like for you? Or is everyday different? It’s pretty different. We are in fashion so come market week or trade show time, we are preparing lookbooks and press kits. Both Yidi and I wear many hats. We could be working on the website in the morning and then we could be making sales calls later in the evening. We have meetings in the afternoons. So, it’s very different. I don’t think there is a standard day. You moved to Long Island City recently. Do you find yourself surrounded by like-minded entrepreneurs? Is that rubbing off on you? 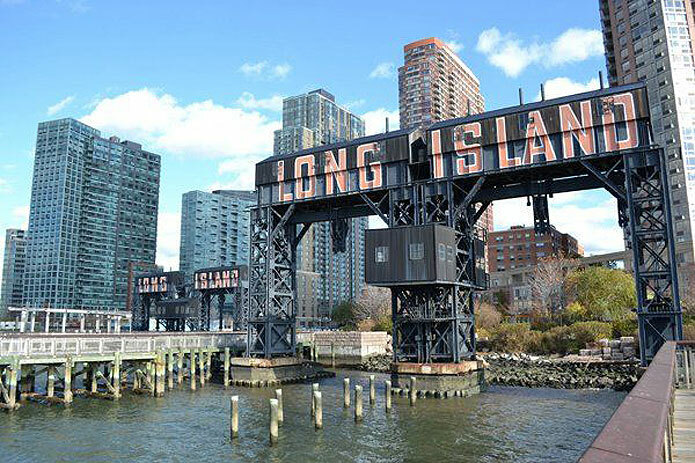 Long Island City is very up and coming. It’s a lot of young working professionals. I do work at a coffee shop once in a while and you do see a lot of people there. I haven’t gotten to know most of the people, but I’m always wondering what they are doing. Even the bartender next door is starting his own food truck business. You run into some interesting people. Do you incorporate a scarf or necktie into your outfit everyday? Most of the time I do. If it’s spring or summer, I usually have it on my handbag. I usually tie a bow on it. I look terrible in a headscarf, but sometimes I wear one. Yidi’s been incorporating a scarf into her beach outfit as well as tying as a scarf as a kimono belt. 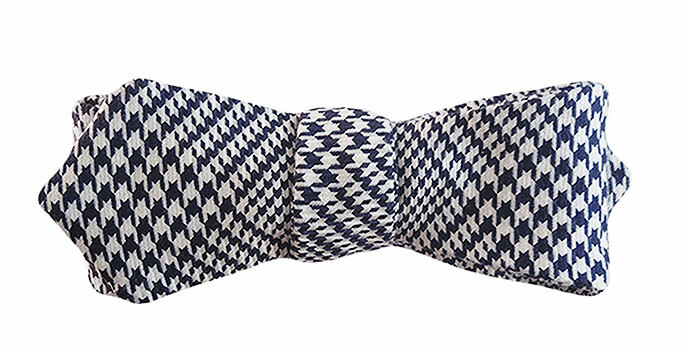 Bowties I save for birthday parties or press events. I love to do bowties and ties. You stand out. When out and about, do you find yourself looking at women to see what they are wearing? I do, especially in New York. I think you get a good mix, but usually I think, “Oh, you could wear a bowtie with this or you could use a scarf with that outfit.” It’s a lot of “Oh, you probably should have worn a Terracotta accessory.” It’s thinking about something to spruce up their outfit either with prints or colors. What is one piece of advice for women looking to incorporate neckties and bowties into their wardrobe? Just don’t be afraid. Have confidence and rock it. I think a lot of women think it’s cute, but don’t know how to wear it. Just be adventurous and try it out. For the most part, it will come out cute. Looking forward, do you plan to expand to other accessories? We are thinking about it now. A lot of men have expressed interest in our prints. Guys have been asking for socks with our prints or pocket squares. Our retailers have been asking for shirts with our prints. I think it’s our prints that really stand out. One last question: Have you ever seen anyone on the street wearing one of your scarves? I haven’t, but my friends have been telling me they have. One friend texts me every time she sees someone wearing our scarves. She will be like, “Someone is wearing a fishbone print scarf.” Then I say, “Why didn’t you take a picture of it?” The day I see someone on the street wearing a Terracotta scarf, I’m chasing them down for a selfie. You can shop Alina’s designs here.